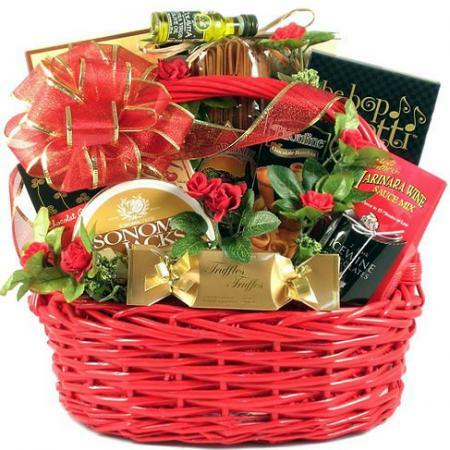 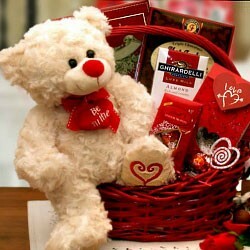 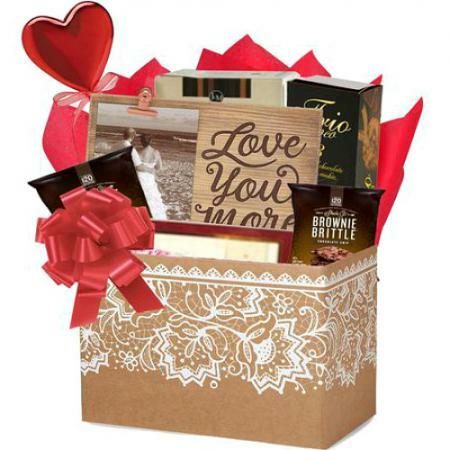 This romantic gift basket is filled with all the right stuff to make a heart go pitter-pat. 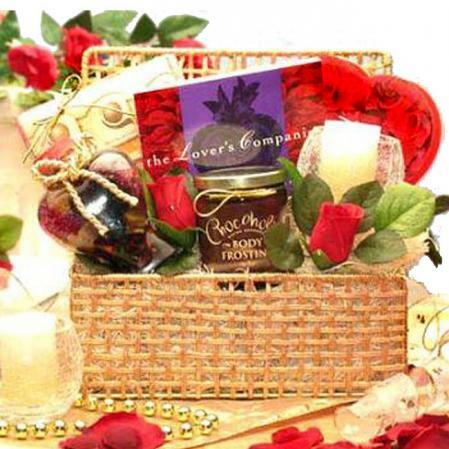 Has Cupid been working overtime on your love life? 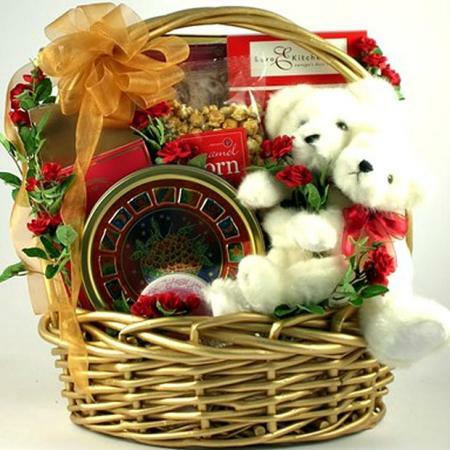 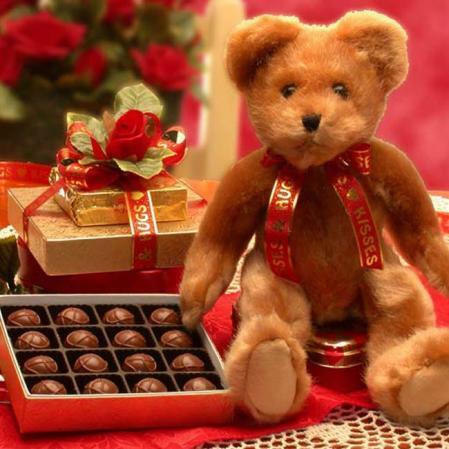 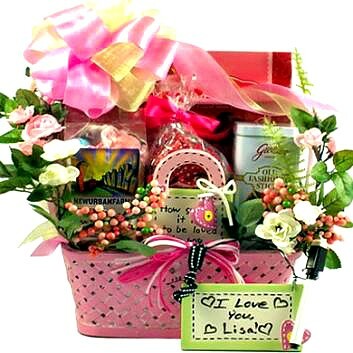 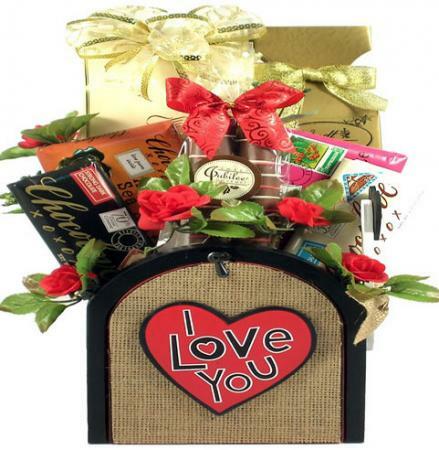 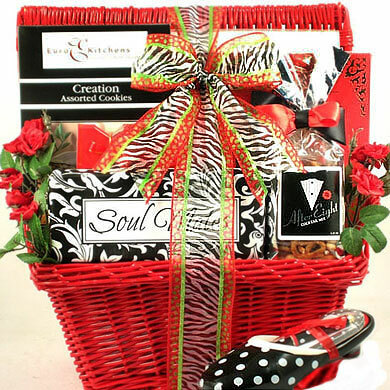 Then spoil your special someone with our incredibly sweet "Puppy Love"� gift basket! 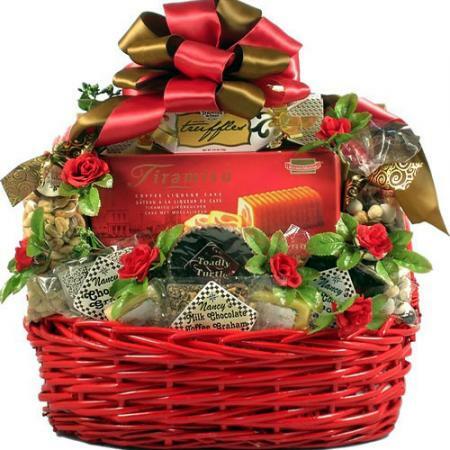 Filled with a large selection of fine chocolates, gourmet confections, snacks and delightful gifts, this is one gift that will keep you out of the doghouse this year! 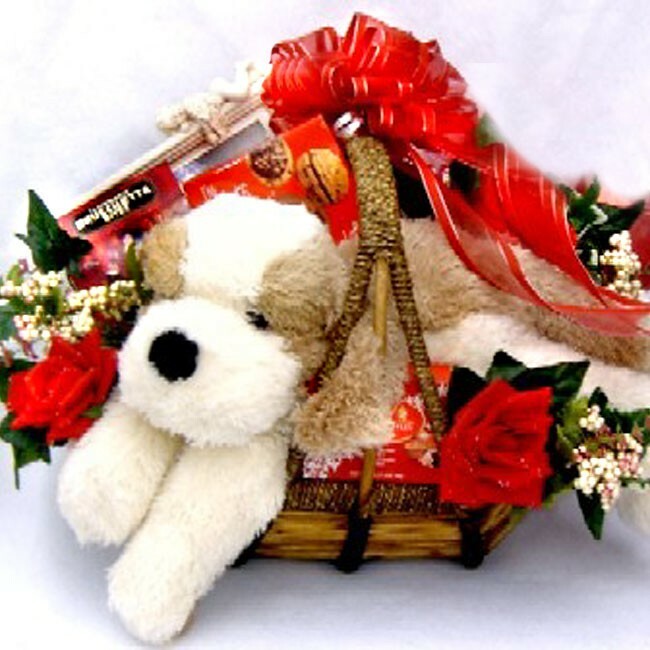 Our "Puppy Love" gift basket is trimmed with silk ivy, red roses, and elegant satin ribbon, creating a perfectly stunning gift for your special someone! 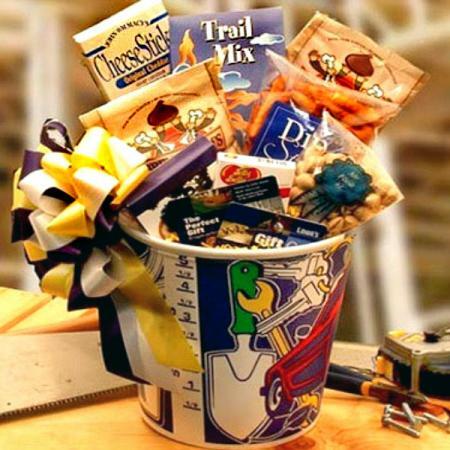 This lovable 19inch shaggy pup will melt their heart. 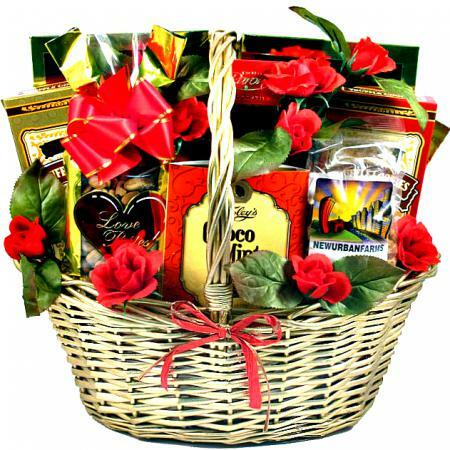 He arrives in this unique over-sized gift basket made of wood and sea grass.